Highlight the zip codes where employees live so you can have a handy reference of where staff is available in emergencies, keep policies consistent and updated with the most relevant references, and focus suicide prevention efforts on making your physical environment ligature-resistant. Those were some of the top takeaways for environment of care and other healthcare and quality professionals attending The Joint Commission’s (TJC) annual Hospital Executive Briefings held September 14 in New York City. The state of healthcare “is not good,” said Ana Pujols McKee, MD, TJC’s chief medical officer, rattling off uncomfortable facts such as the U.S.’s rising maternal mortality rate and that medical errors are the third leading cause of death. She urged attendees to accept nothing less than achieving zero harm in their hospitals and facilities. Attendee Brian Pitt, safety director of SUNY Downstate Medical Center in Brooklyn, NY, said his biggest takeaway from the briefings was that there are a lot of opportunities to make changes and improve. That was particularly true for the areas of environment of care and infection control, which never seem to get full administrative support, he noted. Among other things, the briefing taught him the need for consistency in what organizations — such as the CDC or the Association for the Advancement of Medical Instrumentation — you reference in your hospital policies. “These policies can be used against us if you don’t keep it consistent and follow a consistent national standard,” said Pitt. Emily Wells, CSW, MSW, TJC’s project director, surveyor management and development, said that the accreditor has realized that no environment can be “ligature free,” so it’s changed the terminology to “ligature resistant.” That said, you still need to do risk assessments and have protocols to keep patient safe including removing as many ligature risks from a patient room as reasonably possible. Facilities should pay extra attention to standard EC.02.06.01 EP 1 which was the most cited standard related to Immediate Threat. The standard requires hospitals to maintain a safe environment and EP 1 RFI include self harm risks like door hinges, beds, and drop ceilings. 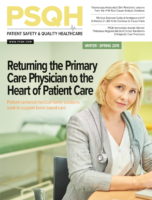 Kathryn Petrovic, MSN, RN-BC, TJC field director of surveyor management and development, stressed was the need to test ligature resistant products to ensure they’re properly installed. Buying special anti-pinch point doorknobs doesn’t matter if they’re put in the wrong way, seize up and create a ligature risk, she says. Surveyors test to see if your products work, not that you have them. And improperly installed equipment can result in a patient hurting themselves on something you thought was safe. Jim Kendig, MS, CHSP, CHCM, CHEM, LHRM, field director of surveyor management and development, recommends facilities run zip code tests to determine where most of their employees live. Most staff won’t come to work in during an emergency if their homes and family are in the affected area. Doing a zip code test can tell you ahead of time if you’ll need to call in help from other facilities. Kendig also said security staff should work with local law enforcement on what to do in the event a hospital becomes a crime scene. There have been cases where a crime was committed in a hospital and police prevented hospital staff from re-entering the facility or move between rooms. That’s a possibility that needs to be dealt with before it happens, he said. Kenneth A. Monroe, PE, CHC, PMP, TJC director of engineering, started off the physical environment and environment of care section with a look at Legionella. There have been multiple cases of the bacteria in hospitals, he said, and facilities need to be vigilant to protect their patients. He also noted that 98% of all surveyed hospitals had at least one finding in the EC chapter, with ligature risks as the leading driver of Immediate Threat findings. However, the most common EP finding in the red category was EC.02.02.01 EP 5 — hazardous material handling and storage. Ninety-seven percent-of hospitals had a finding in the Life Safety chapter, with LS.02.01.35 (sprinklers) being the most cited. Facilities don’t clean their sprinklers, test them, or put things that block the spray. Easy ways to get a finding. That said, only about 12% of LS findings were in the moderate or high risk range, with LS.01.02.01 EP 1 (No ILSM policy) being the most common high risk finding.